We have compiled a list of the most popular free gold newsletters. If you know of a great newsletter that is not listed here please contact us. We will gladly evaluate your submission and list it if we find it relevant. The Certified Gold Exchange also has an extensive list of paid gold newsletters. 24h Gold is committed to precious metals, energy, and natural resources. It divulges the most up-to-date news of these sectors through different manners such as articles and editorials, press reviews, resource sector news, intraday historical charts, etc. It also offers tools such as a database of over 3,000 mining companies along with their press releases and quotes on all markets, free graphs of gold, silver, and much more. They describe themselves as bringing happiness into precious metals. It has been a quarter of a century since the founding of Agora Financial which is a subsidiary of Agora Inc. Agora Financial has been a prominent ground-breaker in the financial publishing industry. If you want economic forecasts that are nearly perfect, then this is the newsletter for you. The readers of Agora Financial were very conscious of the housing bubble, the credit bubble, the reasons behind the panic of 2008, the awaiting collapse of Lehman Bros, and last year’s liquidation of American Airlines well before they occurred. In most cases, this knowledge aided in profits. Addison Wiggins is the executive publisher who is also editor of The 5 Min. Forecast and publisher of The Daily Reckoning. This is actually a subscription newsletter, but you can receive up to 6 free reports. This site does not exactly include a newsletter but the information provided is up-to-the-minute and is just as the host (Richard Mills) claims: Ahead of the Herd contributes unique content in the form of articles and interviews because they examine dozens of contributor’s articles on a daily basis for publication as well as search the web for news regarding the various resource sectors. They do all this so you don’t have to. They have some great information. All smart investors are very conscious that success is based upon a well-balanced portfolio. The goal at APMEX Inc. is to help investors diversify with precious metals. They have aided families across the globe with the preservation of their wealth as well as those who are still in the process of reaching their individual goals. APMEX Inc. has a Daily Gold and Silver Market Report. AmeriGold was created in 1998. Their main goal is to assist investors with their portfolio diversification especially with gold, silver, and platinum. Their philosophy is based upon investments of bullion coins, bars, or numismatic components. Within the AFE newsletter you will find current market commentary as well as geo-political events that can conceivably influence your pocket and savings. Those at AFE are experts who are very committed in offering gold and silver allocated bullion services to exclusive clientele world-wide. Investors at all levels will feel at ease with BullionVault’s efficiency and qualified experts. 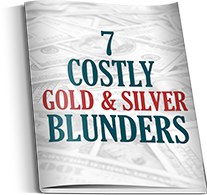 They have the lowest costs for purchasing, selling, as well as hoarding your precious metals and are accredited by the major gold mines. They are currently the biggest online investment gold service internationally. 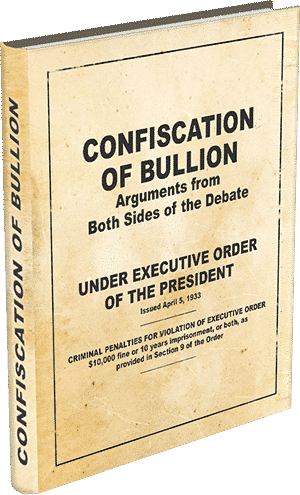 BullionVault also has a section containing gold news. Certified Gold Exchange’s newsletter, ORE-VISION, created by Janet Villalon is considered an extraordinary place to find the most current gold news commentary on the Internet. It includes perspectives from prominent experts which serve to enhance the investor who is searching for the wisest guidance. The United States’ economic system based on fiat money is the reason CMI Gold and Silver exists. Financial survival has become a real problem that we must face and with the government lavishly dropping money as if we could create it out of thin air… Despite this scary reality, investing in gold is not yet the norm but has developed into the safe haven for many investors who dread that the manufacturing of fiat dollars will not end until the dollar is of no value. AT CMI Gold and Silver, they know that gold has stood the test of time; paper money has not. Systematic discussions about the most trendy as well as safest forms of investing in gold in order to reach the present demands are what CMI Gold and Silver is all about. Dr. Thomas Chaize’s analyses are distributed to the masses of experts within the finance, mine, and industry markets covering over 70 countries and 5 continents. Newsletter commentaries are received 30 to 90 days prior to the publication on the website and are circulated only to individuals on the mailing list. This is a weekly newsletter. Barron’s has dubbed it a top-notch financial website. Financial Sense offers educational resources to the public by way of editorials and up-to-date news. Financial Sense Newshour started as a local talk radio program in 1985 and is currently a free weekly webcast with host Jim Puplaya and prominent financial intellects. The Free Gold Money Report began as Freemarket Gold & Money Report in March 1987 aiming mostly on precious metals and national currencies. At that time one had to pay for the valuable information, but in August 2009, it revamped into a free newsletter and reformed its name as well. 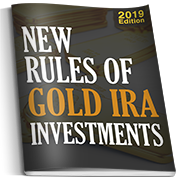 The Free Gold Money Report is enlightening and instructive and focuses on upholding a more improved appreciation and comprehension of gold, money, and currency by way of James Turk’s analysis and observations. Gold Core has been around since 2003. Its specialty is the Precious Metals sector and has developed into a brand name and a company that is committed to supplying honest and simple bullion and wealth management service. The Sun Never sets on Gold-Eagle…Be very discerning when it comes to the most current news on gold. Gold-Eagle offer exclusive perspectives on the geo-political and economic events that influence investments in natural resources and emerging markets. The articles found on Gold Editor are painstakingly uncovered after meticulous filtering of all commodity markets’ news. 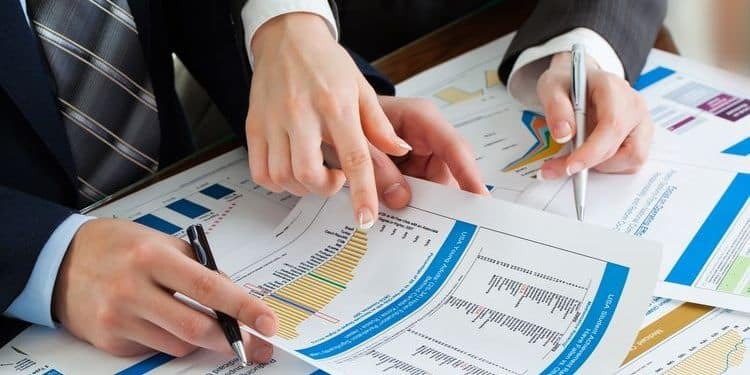 The authors they choose to include in their newsletters are prominent financial contributors, analysts, geologists, and creators of true investment assessments which help investors make the most informative and balanced judgments. Despite what you may think, Gold Maps includes very valuable information about gold. They are referred to in many upscale and respected media genres such as Retirement Life, Gold Prospector, New York Times, Los Angeles Times. James Turk and his son, Geoff Turk began Gold Money with an appreciation for gold’s advantage and profitability as a financial asset and value its role as money on the international level. Back in the 1990s, they were already ahead of the game with electronic commerce and the Internet just made this so much easier which is why they now render a first-class manner in which to purchase gold, silver, platinum and palladium online as well as storage. Great gold newsletter. Gold News Weekly is a super informative place which includes interactive charts, the best breakdowns from the market’s top professionals, public discussions, and tons of gold current events. This is a financial site focusing on the gold secular bull market. Toby Conner offers a free as well as a premium newsletter. It all began in the mid-1990’s when Peter Spina began his journey with precious metals and started GoldSeek.com (1995). It is currently amongst the most respected global gold websites at the international level. The site includes commentaries and articles which are free as well as a subscription newsletter Gold Forecaster. The truth is gold is not even close to its inflation-adjusted high in the $2,500 – $5,000 range and the dollar…well, we know where it’s headed. This is the perfect formula for inflation as well as a great possibility for hyper-inflation which is why Gold Stock Bull was created. It exists to support investors in protecting their assets from the unavoidable. Jason Hamlin examines carefully resource companies that are undervalued when looked at in the whole picture, uses fundamental and technical analysis to discover the greatest entry and exit points and employs stop orders to protect capital. The founder of this free newsletter, Jeb Handwergis is a stock analyst whom many pursue because of his precise analysis of the general markets with a focus on precious metals. Jeb employs both fundamental and technical analysis, particularly the study of price volume action to comprehend the long term macroeconomic flows in the natural resource market. Jeb has a convincing background in stock market history, investment psychology, geopolitics, mining engineering, and economics. Massive wealth is a reality to those who make wise choices. Fortunes are amassed by informed investors who have an inside gateway to gold’s real marketplace. This is the goal at Gold World: to offer free commentary from gold professionals Greg McCoach and Luke Burgess. Independent Living Bullion is for those who want to protect their assets from economic chaos as well as the dollar which is falling pretty fast. There are no middlemen involved here…just wise independent investors who look to Independent Living Bullion as a reliable source for gold and silver. The personnel at Independent Bullion are very experienced in their fields and only offer the best recommendations. The Chairman and President of Independent Living Bullion are Lee Bellinger and Stefan Gleason, respectively. Mr. Bellinger is a publisher and newsletter editor for over 23 years and began his career as a graduate of Hillsdale College in Political Economy and History and took part in the college’s prominent Washington-Hillsdale Internship Program. Mr. Gleason is responsible for the remarkable growth of Independent Living Bullion and has taken part in the company’s new association with David Morgan, editor of Money, Metals, and Mining. Investment U’s goal is to disclose investment approaches and probabilities but only using their Seven Principles of Investing which are: you cannot entrust Wall Street with your financial future; do it yourself, but don’t go it alone; don’t follow the herd; always maintain your balance; never lose your shirt on an investment – ever; always focus on the fundamentals for the long term; and cut your fees and expenses to the bare minimum. Investopedia offers some great tutorials as well as lots of educational access about investing in precious metals as well as stocks. Once you register you have access to the Stock Simulator, FXtrader plus have all your questions answered with their comprehensive dictionary and many other newsletters such as the Warren Buffet Watch. KITCO unites a precious metals store, up-to-date spot prices, market commentary from prominent investors in the field, and current news. They are one of the best. 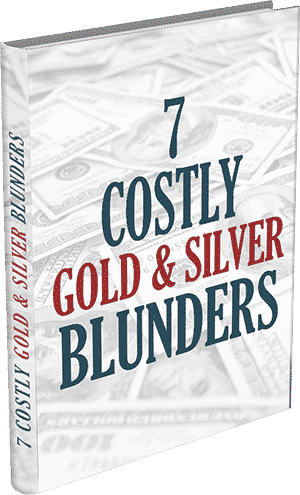 They also offer a great free investment kit which includes a 2012 Precious Metals Outlook. Registering with Metals Place will allow you to post ads on the Metals Board as well as receive inquiries, subscribe to daily alerts and newsletters and benefit from a wide variety of exclusive services. The Midas Letter is normally a subscription newsletter but is currently closed to the public offering free updates which should be looked into. Its publisher and editor, James West, is involved in independent capital markets as well as investing. Spending more than 20 years as a corporate financial advisor, corporate development officer, investor relations officer, media relations and business development officer for companies involved in mining, oil, and gas, alternative fuels, healthcare, internet technology, transportation, manufacturing, and housing construction, he has a lot to say about many different areas. Mine Set is a teaching forum which utilizes ‘the daily market as its text and blackboard’. The great thing about these commentaries are that they are just that…commentaries, but they all offer guidance and information which lead to making better judgments. Jim Sinclair is first and foremost a precious metals specialist and a commodities and foreign currency trader who founded the Sinclair Group of Companies in 1977 extending complete brokerage assistance in stocks, bonds, and other investment operations. From 1981 – 1984, Mr. Sinclair was the Precious Metals Advisor to Hunt Oil and the Hunt family. 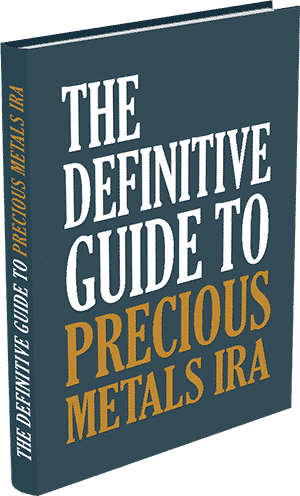 He has written many magazine articles and three books dealing with a variety of investment subjects, including precious metals, trading strategies and geopolitical events, and their relationship to world economics and the markets. Jim is a recurrent and extremely popular lecturer at gold investment conferences and his commentary on gold and other financial issues collects widespread media exposure at home as well as internationally. For nine years Mr. Sinclair has offered his gold commentary through MineSet. To begin, Mining Feeds is an excellent website including a lot of important information, news, and editorials focusing on mining. Many highly regarded professionals use Mining Feeds as their medium before making their own analytical judgments on today’s market. Mining Feeds gathers their information from superior industry publications and renders an exhaustive supply of fact and news. It currently boasts having approximately 50,000 monthly visitors. It is a combination of two extremely prominent online mining publications: Mining Nerds and Highgrade Review. Jeffrey Nichols has been a prominent gold and precious metals economist for more than a quarter of a century. He is the Managing Director of American Precious Metals Advisors. He is definitely very well equipped with knowledge when it comes to the outlook on gold. This newsletter is provided daily to keep you informed of changes of any modifications within the mining, drilling, and piping sectors. It offers the day’s stories, price information as well as a general view of the resource investor market. The Gold Report Newsletter offers so much it can’t be included here. You need to go to the site and sign up for it. The Gold Report is sent out every Monday, Wednesday, and Friday and The Critical Metals Report on every Tuesday. You also have the opportunity to subscribe for free to The Energy Report and The Life Sciences Report. Jordan Roy-Byrne, CMT is a Chartered Market Technician as well as a member of the Market Technicians Association. Between 2010 and 2011 he was an official contributor to the CME Group which is the most prominent futures exchange at the international level. For two years now, The Daily Gold Premium Model Portfolio is up 82% compared to GDX (-6%) and GDXJ (-14%). His work has been accentuated in CNBC, 321 Gold, Gold-Eagle, Financial Sense as well as many other highly regarded precious metals’ media. Bill Bonner founded the Daily Reckoning in July 1999, a pioneer in online publishing. Their goal is to demonstrate the best way to survive our uncertain economic times. From the beginning they wrote their commentaries in the most honest fashion while looking at the challenges facing the US economy, and the pitfalls ahead as they see them. They are regarded as one of the best newsletters of our time. Free investigative and analyses on gold and silver stocks, gold investing, and economic cycles. They focus on the importance of the precious metals sector as well as a more educational view on gold and silver stock investing. They tie everything together and bring you their observations of the strategies that they have tried and have proven worthwhile. Leonard Melman has been an author for precious and base metals for over 20 years. He has written for ICMJ’s Prospecting and Mining Journal as well as Resource World Magazine. He has always fixed his attention on how political and financial considerations impact the world of mining and the prices of the metals. Leonard has delivered his comprehensive industry knowledge, talked about his current visits to global mining operations and kept investors informed on the companies he is studying (Cambridge House Conferences, North America). He has widespread knowledge as well as massive experience through his careers as manager of multi-million dollar consumer lending operations and as a securities and commodity broker which he utilizes as an advantage to get to the point about the market, trends, and the ups and downs of all sectors. This is where Mike Fulijenz demonstrates his expert market advantage which he states comes from experience, leadership, and recognition. The main goal at U.S Rare Coin Investments is that if the investor is well-informed at the correct time in rare coin investing then success is just steps away. They also rely on real time coin market information as well as association with experts in the field to make the difference one needs for a good investment. This is one of the oldest and respected gold websites which is led by one of the oldest and most highly regarded gold firms in the Unites States. Here you can truly pursue the gold market or inform yourself about gold coin and bullion ownership. Rick Ackerman is one of gold’s most respected analysts. The Money and Markets gold newsletter features expert commentary, the latest news, useful resources and more. Investors of all sorts, including investors in gold, will appreciate this free gold newsletter. Though launched as a gold newsletter for the United Kingdom, The Real Asset has gained a tremendous following in the United States due to its accurate reporting and useful insights into gold markets around the world, including the United States.